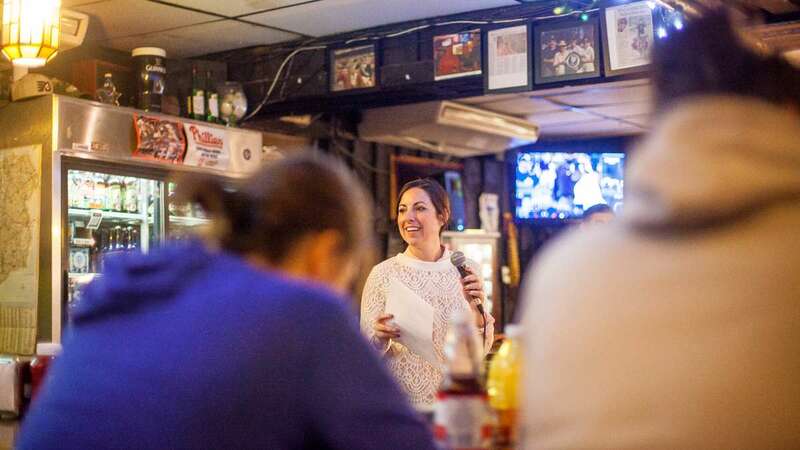 Melissa Murray Bailey stopped by Bill Murphy’s Irish Saloon in East Falls on Tuesday night to meet with voters and play quizzo. 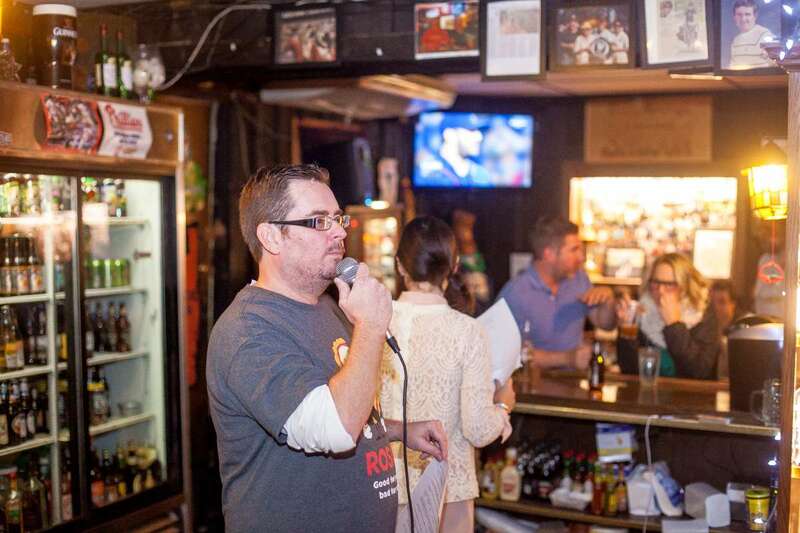 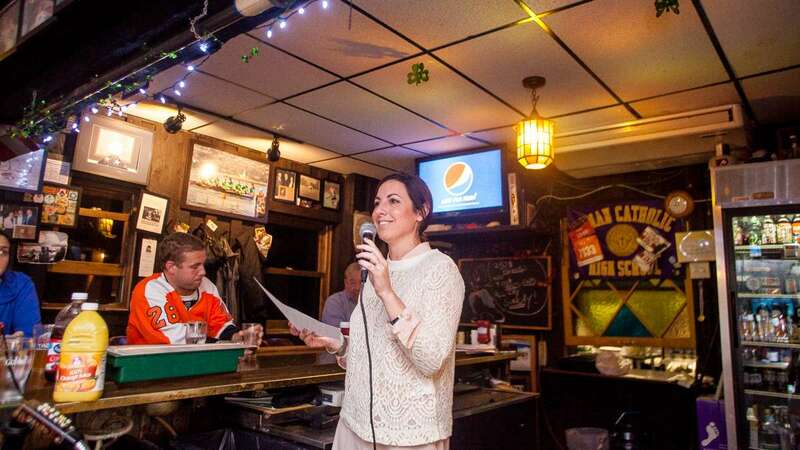 She emceed a round of quizzo at Murphy’s Bar in East Falls Tuesdays. 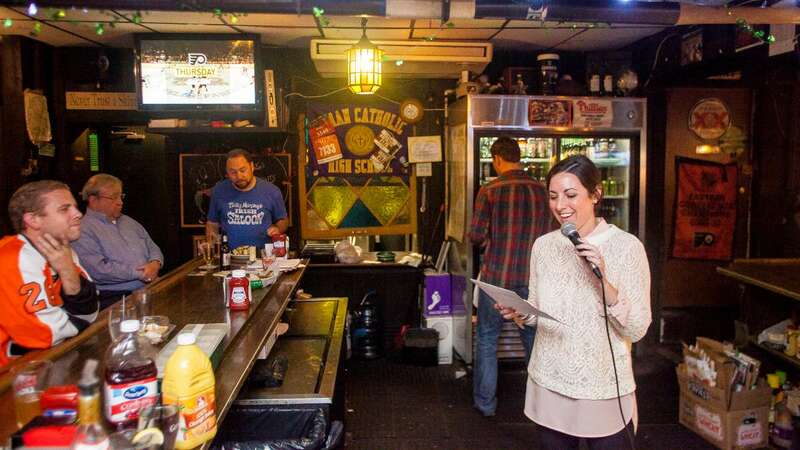 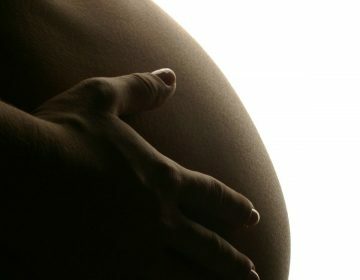 Her round of questions centered around references to her first and last names. 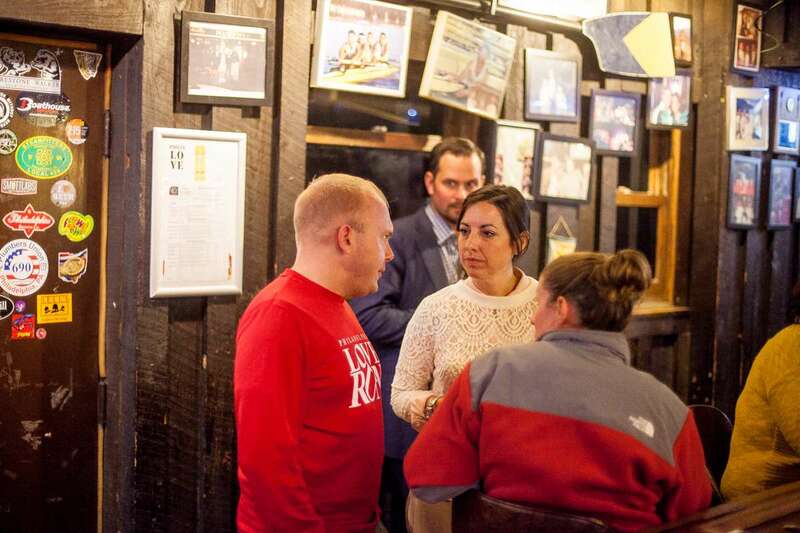 Later in the night, she fielded questions from voters about her policy plans and stances. 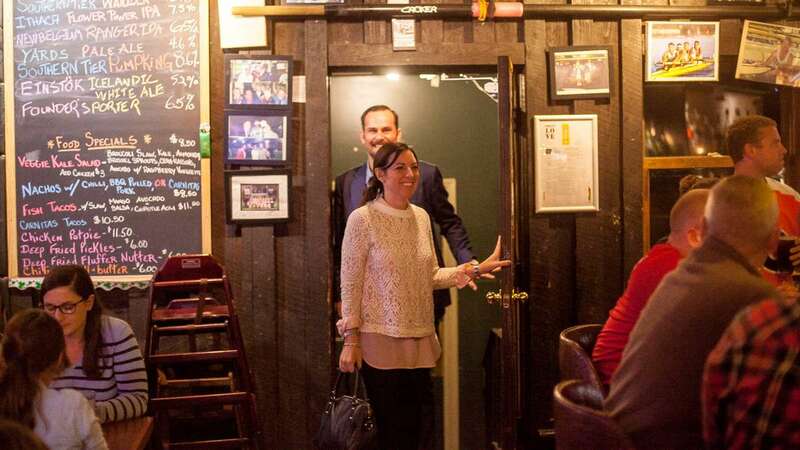 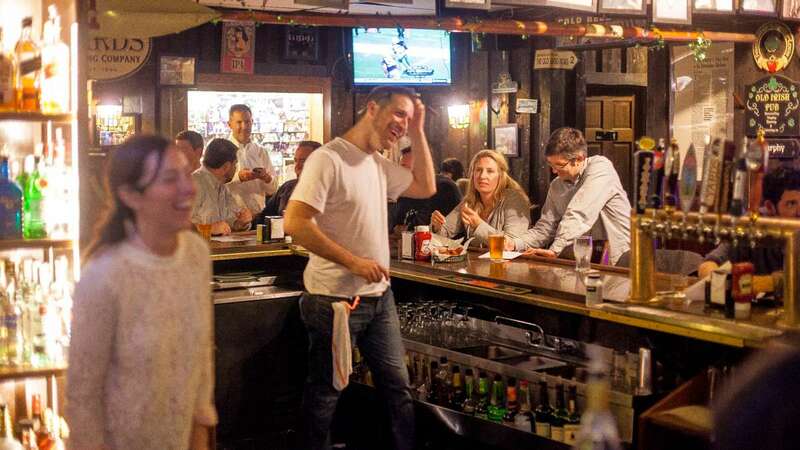 During primary season, Jim Kenney, Doug Oliver and Milton Street attended quizzo at Murphy’s, which is hosted by former NewsWorks editor Brian Hickey. 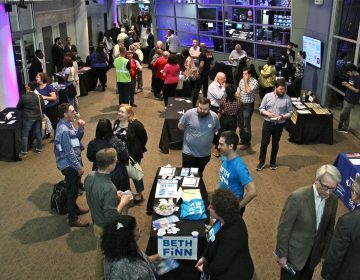 Election Day is Tuesday, Nov. 3.